When multinational companies think of China, unfortunately they often think of counterfeiting. And how couldn’t they? 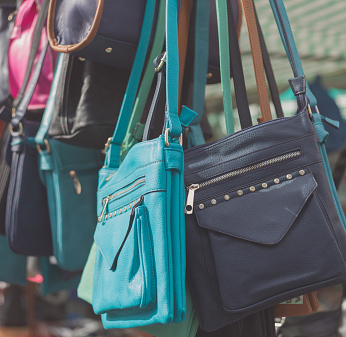 From pirated DVDs to knock-off designer bags, counterfeit goods are a huge industry all by themselves. According to ABC News, Chinese counterfeiting now costs foreign firms an estimated $20 billion a year in lost profits. Some items, like pirated software and music, can provide buyers with almost the same quality they would get if they purchased the product legally. For other products, however, counterfeit goods can provide shoddy quality that greatly reduces the value one gets from the cheaper price. Batteries can wear out with minimal use in just two days. Light bulbs can burn out as quickly as batteries go dead. But $20 billion in lost profits only tells part of the story – what is not baked into the numbers is the lost sales and depreciated brand reputation that also results from a thriving counterfeit trade – and not just overseas, but in China itself. Many businesses obviously want to be in China. With 1.3 billion people, a growing middle class, and a generation of consumers who are really starting to experience higher-quality goods for the first time, companies have a legitimate opportunity to grow their profits globally. This means that companies must preserve their brand equity not only at home, but in China, itself. I’ve recently done market research in Beijing on two separate occasions in the past several months – one occasion with attorneys who are often trying to protect their overseas clients from counterfeiting, and the other occasion with consumers in a higher-end, specialty retail industry. In both instances, research respondents spoke of how the counterfeit trade is hurting sales directly in China. Simply put, counterfeit goods are making the Chinese market fickle – if not darn right cynical – about many foreign brands. Several Chinese consumers expressed to me that they frequently will avoid brands all together that are known to have more counterfeit products even though they know that these brands – when legitimate – likely provide better quality. This means that companies experience a “double whammy” of losing sales as well as suffering a reputation hit. Take The North Face. (In full disclosure, the brands mentioned in this article were not my clients for the research.) Camping and hiking have been rather popular activities in China even before the opening of their markets, and consumers are now looking to “trade up” their outdoor gear. But The North Face is perceived as being one of the most counterfeited brands in the category. As a result, someone looking to buy rain gear, for example, may turn to brands such as Columbia or Jack Wolfskin (a German brand) so that they are not personally perceived as having a fake product. Why buy The North Face when everyone else has one, and why risk the embarrassment that your friends will think you own a fake? This means that the cost of doing business is multiplied… The North Face stands to lose business abroad to counterfeiting as well as lose business to Chinese consumers as they avoid brands that have lost some “cache”. And when you throw in the fact that lost business can mean higher prices, consumers in China and abroad are squeezed. To be fair, counterfeiting happens globally and consumers of all countries are guilty of supporting the trade. But the Chinese are quick to point out that it is primarily “the tourists” who drive the trade inside China – and they may have a point. Some of the most popular destinations for tourists in Beijing are Xiu Shui Market and the Hong Qiao Market, Meccas for those seeking to buy goods on the cheap. From Nike shoes to Louis Vuitton handbags to Rolex watches, Americans and Europeans descend on these markets with one goal in mind – to impress their friends back home with products they would never legitimately buy. Of course, most of the counterfeit products end up on street corners in New York City and Rio De Janeiro, adding to the perception that this is not a Chinese problem and that it is driven by the illegal behavior of consumers outside China. However, it is clear that these products are also making their way into the Chinese market and in the process devaluing one of the most dynamic and fastest growing markets in the world. Ultimately, companies doing business in China need to think about protecting their markets not just at home, but in China itself. If your international growth is predicated on penetrating the Chinese market (and for many companies, how could it not?) then you need to play defense both at home and abroad. Senior managers need to recognize that counterfeiting not only leads to lost sales, but it also leads to poorer brand perceptions. And this means combating illegal trade on multiple fronts – in the factories that make these products, with the consumers who buy these products, and with the consumers who want to buy these products but don’t want to be associated with the stigma that widely counterfeited have. Just like American consumers, Chinese consumers want the cache of owning a good brand, but not if everyone else has it, too.